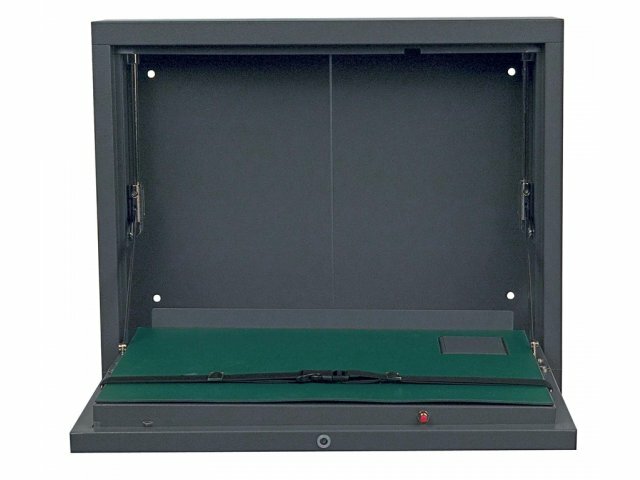 Keep your laptop and critical data safe with our Wall-Mount Laptop Safe/Security Cabinet. 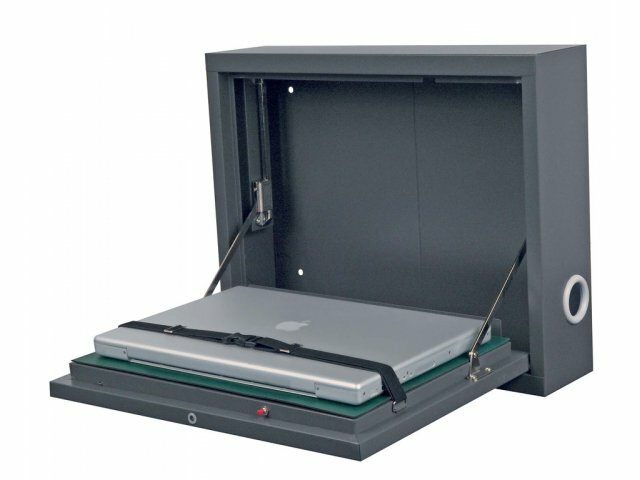 Just place any laptop 17" or smaller on the cushioned shelf of the wall-mount laptop safe and secure it with the adjustable elastic straps. Then fold it away and your laptop is safely secured behind 20-gauge welded steel construction. Access your laptop via the electronic keypad lock that eliminates the need for keys. You can set both an administrative and user password to limit access. You can even charge your laptop while it is being stored. 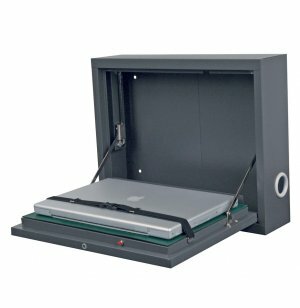 If you are worried about laptop security, then this wall-mount laptop safe/security cabinet is the right solution. Fits most laptops that are 17" or smaller. 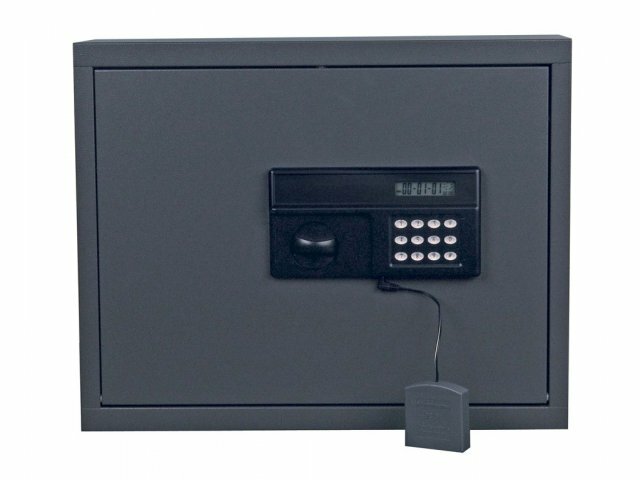 Electronic keypad lock run by 4-AA batteries with dual back-up systems. Platform where the laptop sits is 12.25"D x 16.625"W and comes with a cushioned pad. Length from the back of the cabinet to the top of the door platform is 17.75".